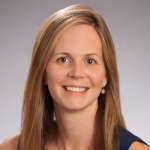 Abigail Powers Lott is a clinical psychologist and Assistant Professor in the Department of Psychiatry and Behavioral Sciences, School of Medicine, at Emory University in Atlanta, GA. Her interest in psychology first began at Emory, where she obtained her Bachelor of Arts degree in Psychology and Anthropology. She then went on to get her doctoral degree in clinical psychology from Washington University in St. Louis. She completed her predoctoral clinical residency at the Medical University of South Carolina, in Charleston, SC, in 2013 and then found her way back to Atlanta after completing her doctorate. Request More Articles From Abigail Powers Lott, Ph.D.
Did you find these articles helpful? Click to request more articles from Abigail.